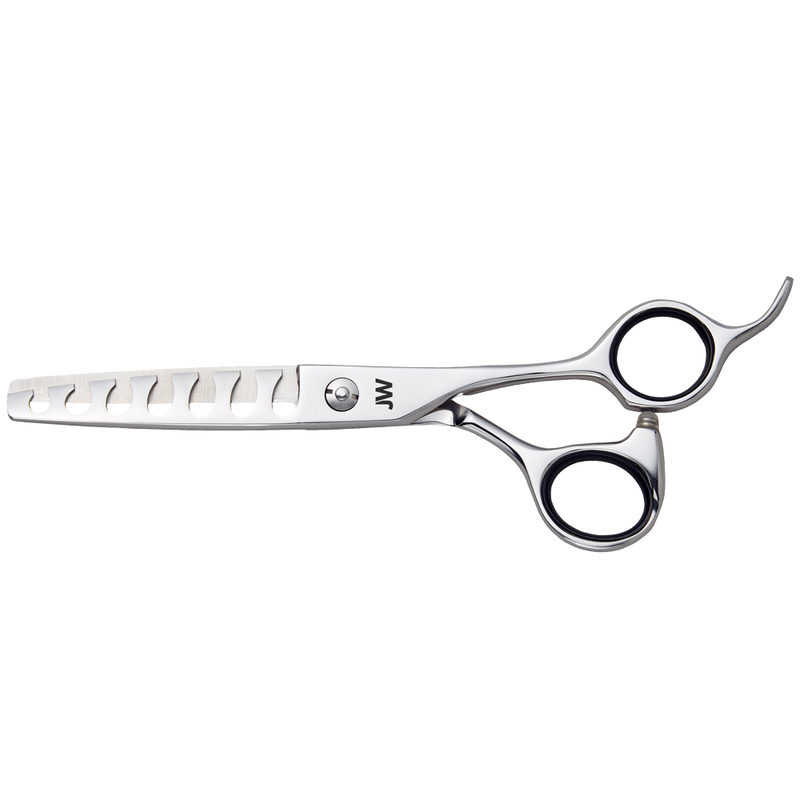 The TS14 is a texturizing shear that specializes in creating and refining soft texture for you clients. 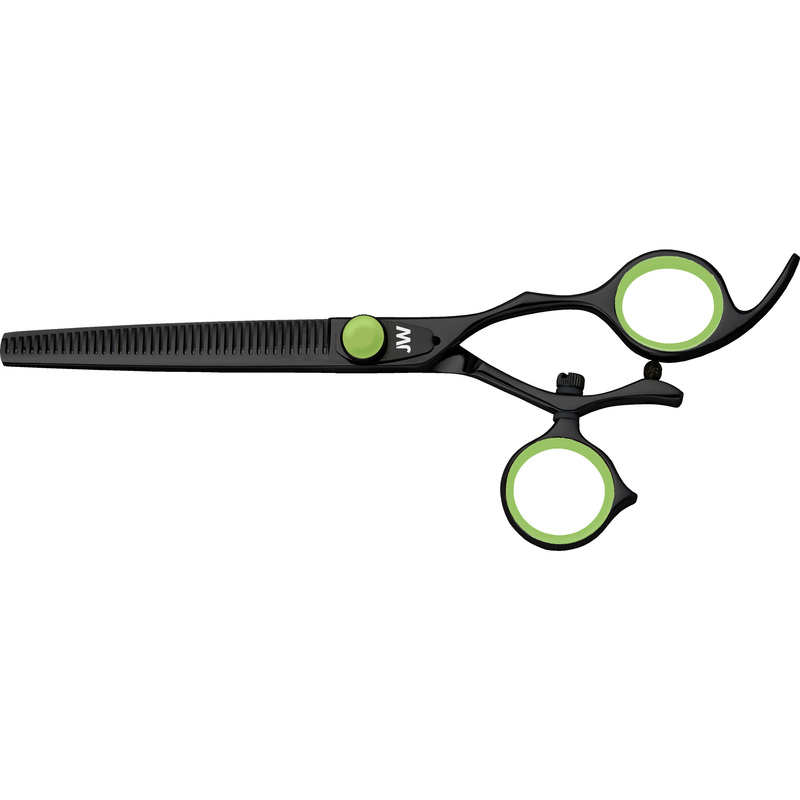 Comprised of 14 teeth and a Japanese stainless steel, this shear is designed to take out approximately 50 percent of hair. 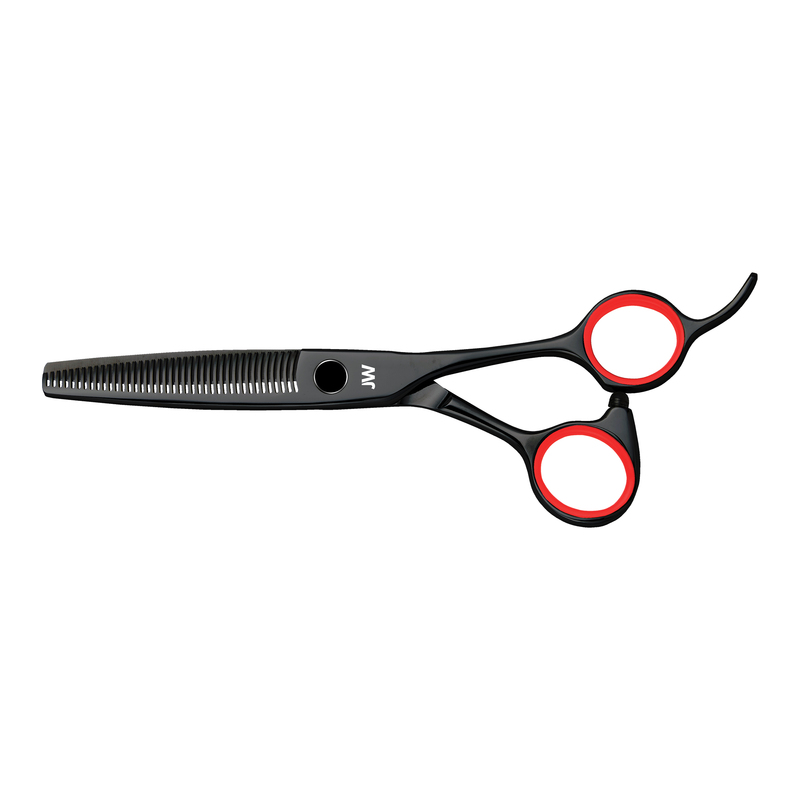 The CSL is a lightweight thinning / blending scissor, with an offset/slight crane handle. The unique sculptured handles are wider and curved downward to allow more comfort and control. The permanent tang is inset and contoured to relieve stress to the pinky. Contoured funnel shaped finger holes, allow your fingers to pivot and rotate giving you maximum comfort with less fatigue in your hand and wrist. 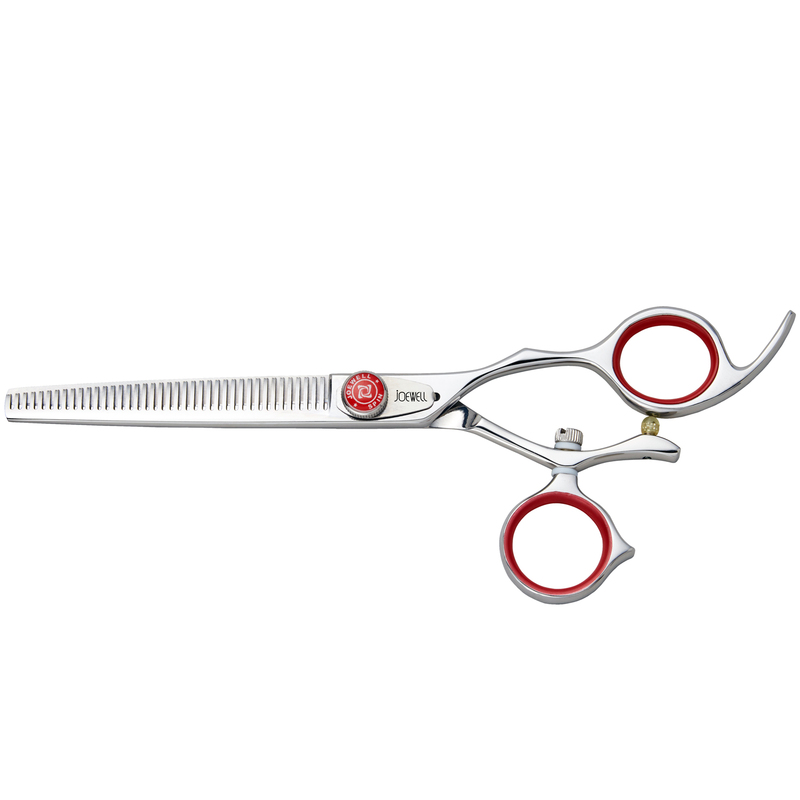 The TS40 is a thinning shear that specializes in creating and refining soft texture for you clients. 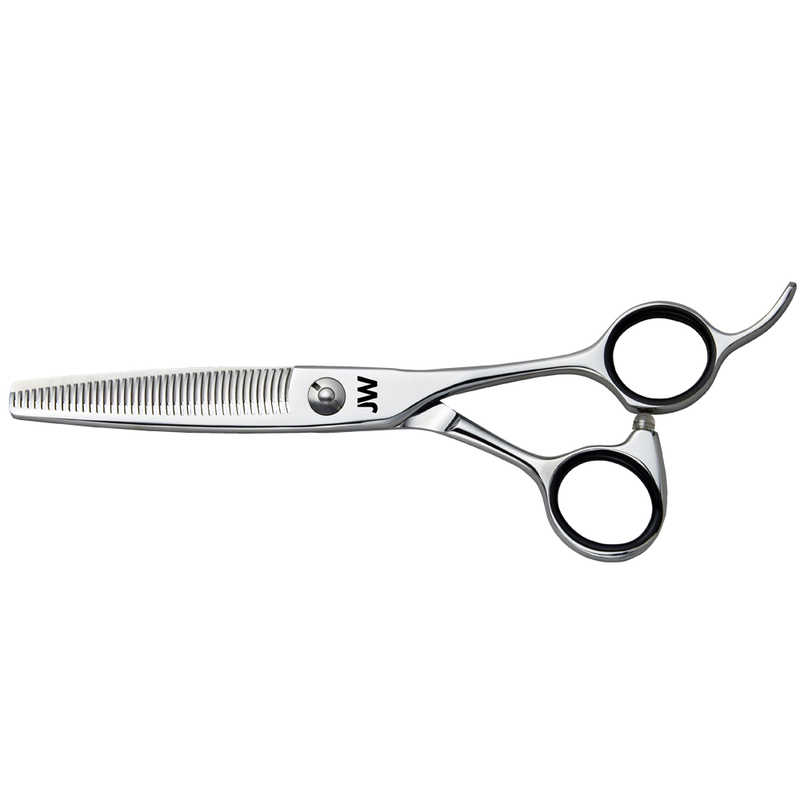 Comprised of 40 teeth and a Japanese stainless steel, this shear is designed to take out approximately 20 percent of hair. 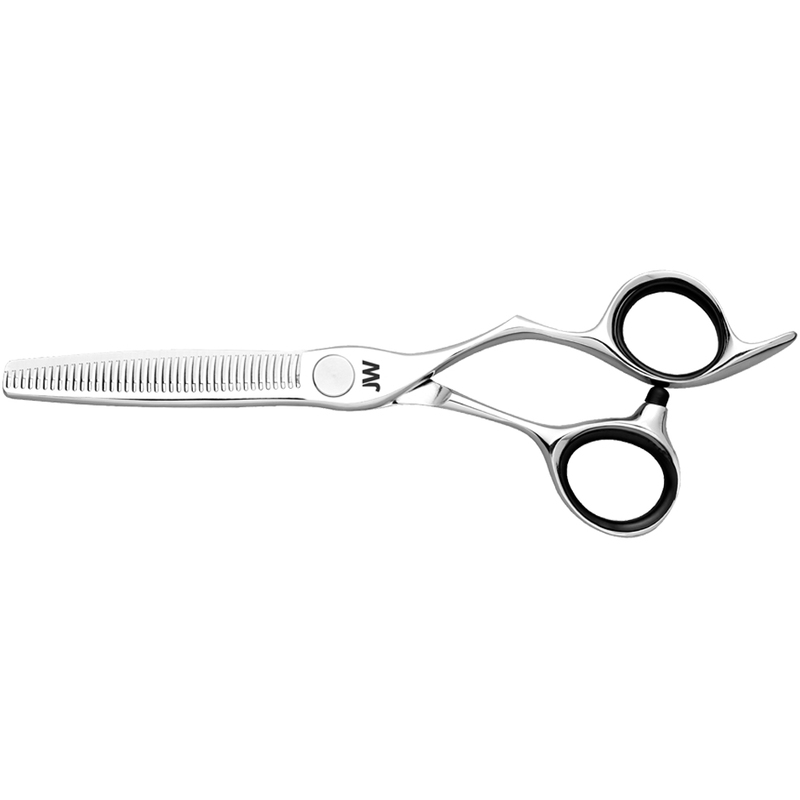 The Joewell TS7 texturizing hair shear features 7 teeth and is made from Japanese Stainless Steel. The high quality teeth thin hair effectively. 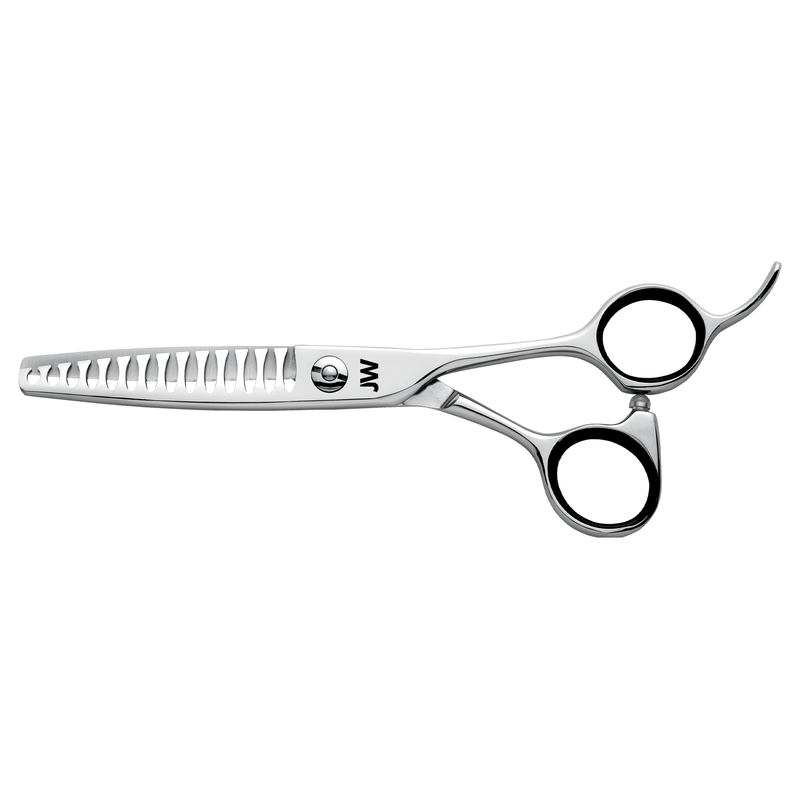 The TSB40 is a thinning shear that specializes in creating and refining soft texture for you clients. 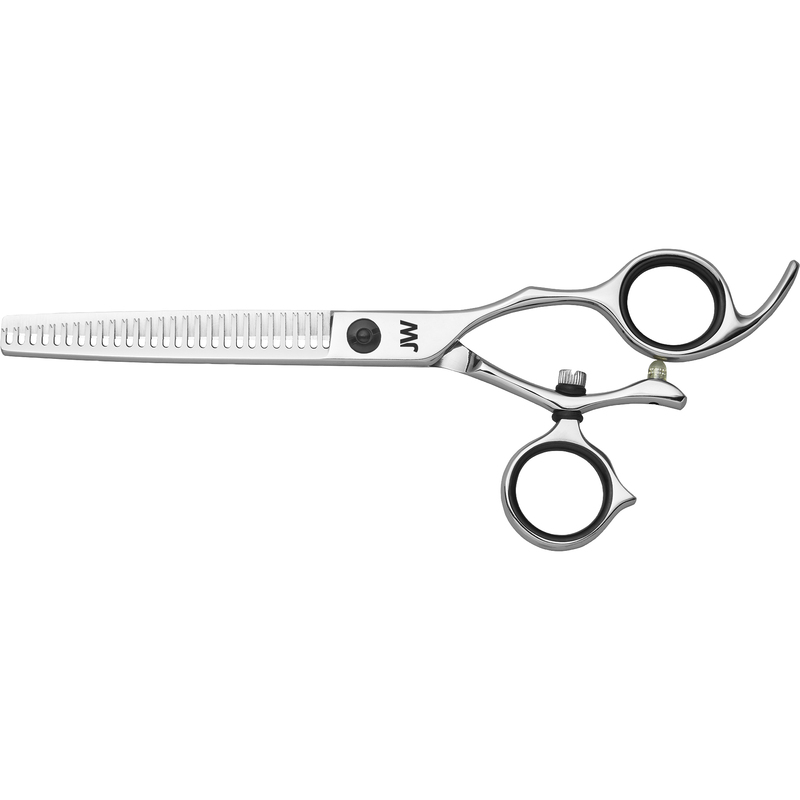 Comprised of 40 teeth and a Japanese stainless steel, this shear is designed to take out approximately 20 percent of hair. 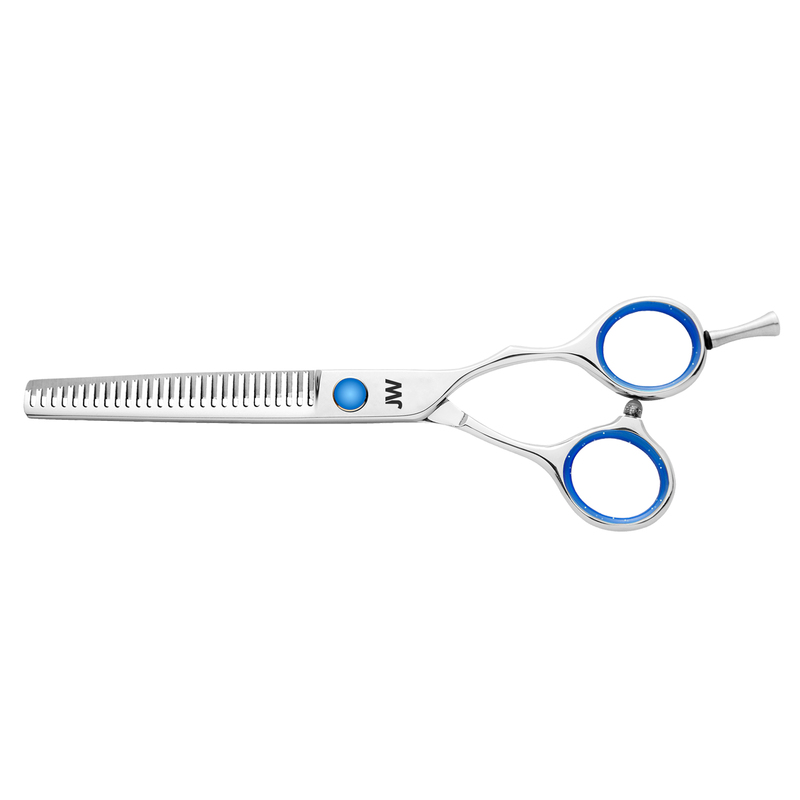 The GXR is a thinning / blending scissor, with an offset/slight crane handle. The unique sculptured handles are wider and curved downward to allow more comfort and control. 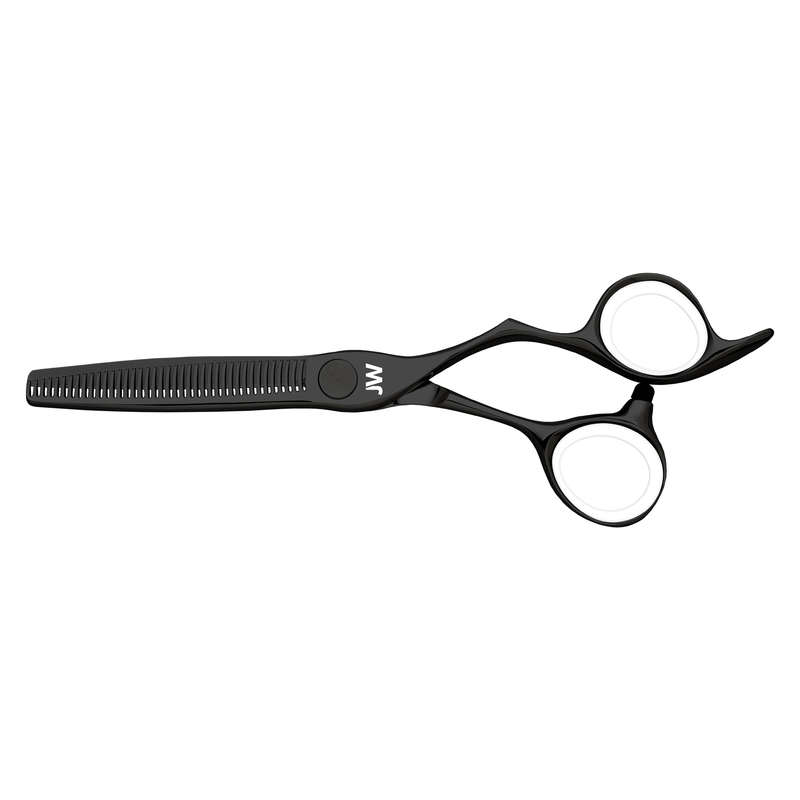 The permanent tang is inset and contoured to relieve stress to the pinky.Contoured funnel shaped finger holes, allow your fingers to pivot and rotate giving you maximum comfort with less fatigue in your hand and wrist. 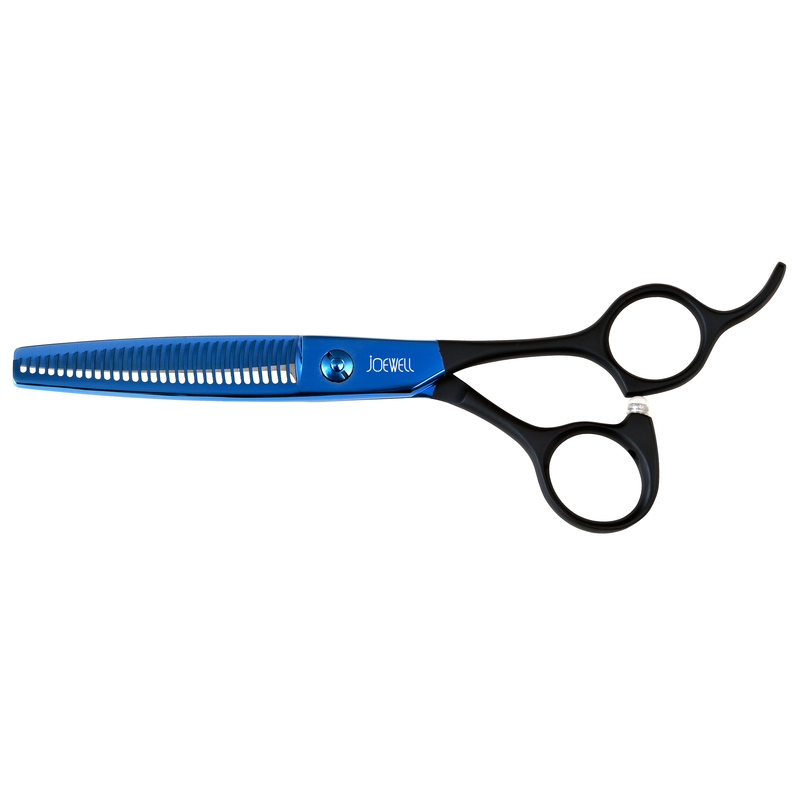 The Joewell JTFSR is a thinning shear that specializes in creating and refining soft texture for you clients. 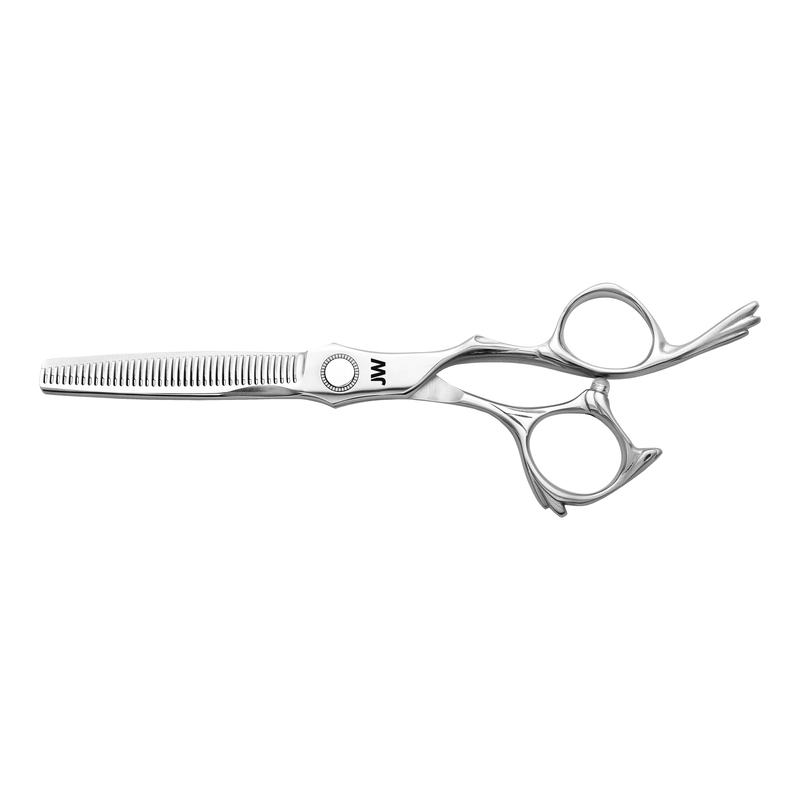 Comprised of 27 teeth and a Japanese stainless steel, this shear is designed to take out approximately 20 percent of hair.